Fred is now in Primorsk. First of all, Fred now has shoes. 5 years travelling without shoes are over. Now he has some dutch "kluntjes" (clogs) made of china and they fit as if they were custom made. 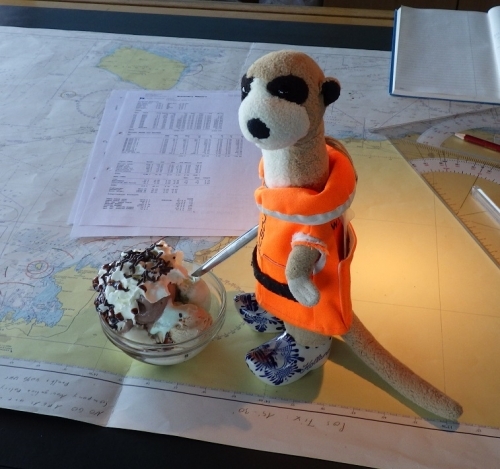 Fred really enjoyed the two days at sea, was very busy and of course became hungry. Everybody was spoiling him with sweets. 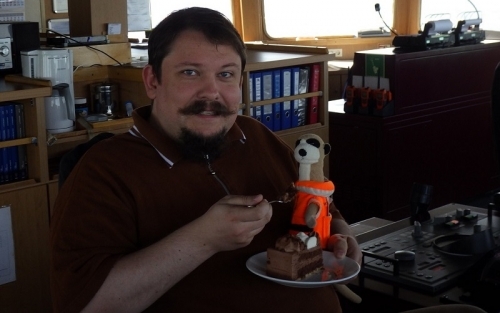 Most of all he enjoyed "sailors' sunday" , with icecream and chocolate cake. 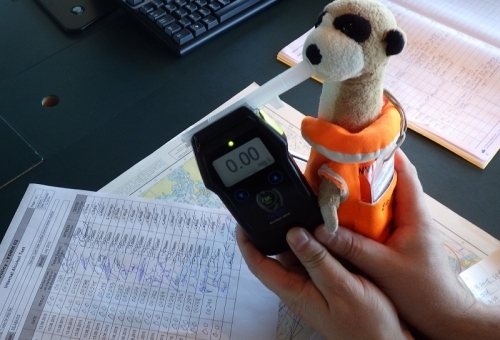 Fred takes everday life on a tanker very serious, is very attentive and safety-conscious. 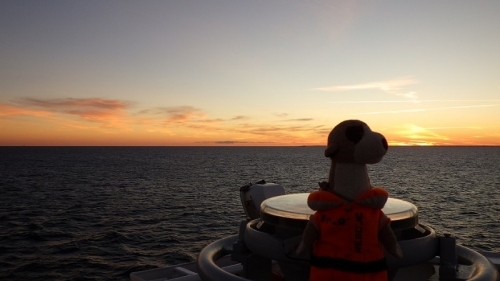 This Saturday he was on the bridge early and after the SEABASS was alongside and the clearance paperwork done, Fred urgently wanted to go ashore. And although Primorsk is only quite a small village, he persuaded us to go ashore - and he can be very convincing, once he made up his mind. Fred is exhausted from his shore leave, but will report within the next days.